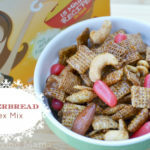 The holidays can be a stressful time of year but they can definitely be merrier if we take the time to relax and let ourselves fully experience the joys of the season. Planning ahead so we aren’t in a rush last minute is a great way to keep from feeling overwhelmed. 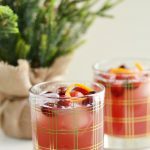 Pick up the ingredients to make this Holiday Sparkler cocktail so you can add some sparkle into the holiday season any time the mood strikes! 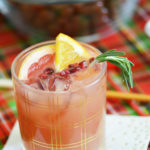 Whether you are coming home from a jam packed day of shopping or entertaining guests, this holiday drink is sure to add an extra fizzy twist to your evening. Just three ingredients are required to enjoy this holiday cocktail. A key ingredient is Black Raspberry Sparkling Ice. 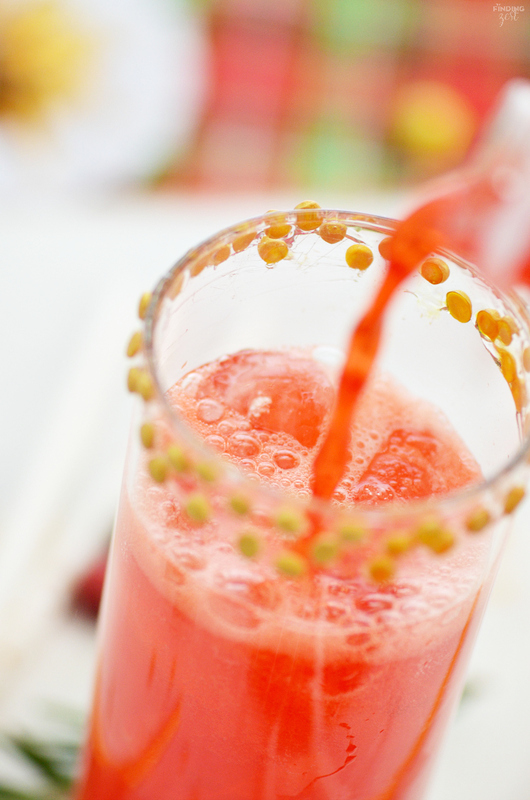 It packs a punch of flavor and gives you the fizz you love without all the calories. Add some ice to your glass and pour on the pineapple juice, Black Raspberry Sparkling Ice then vodka if you want to keep separation between the layers. 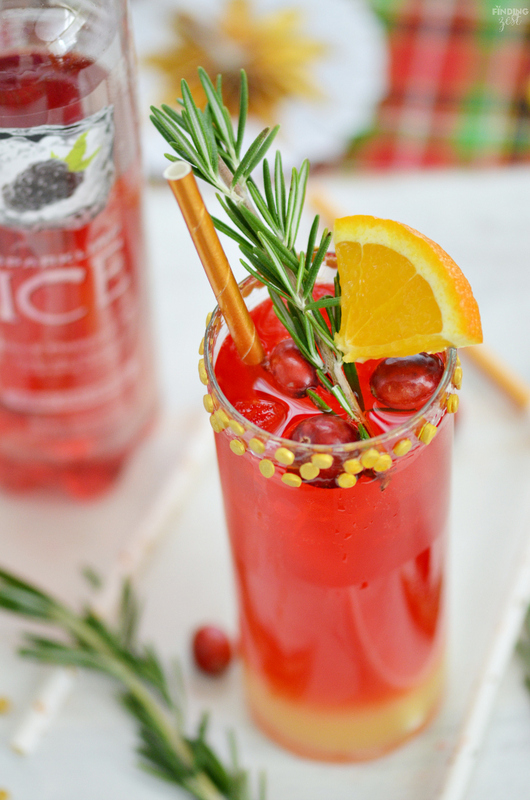 Add a gold straw and top with your favorite holiday garnishes for some instant holiday cheer! And if a mocktail is what you are after, simply skip the vodka and replace it with more pineapple juice and Black Raspberry Sparkling Ice. 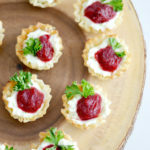 Coat outside rim of tall glass with a thin layer of corn syrup. 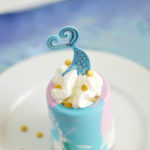 Add gold confetti sprinkles. 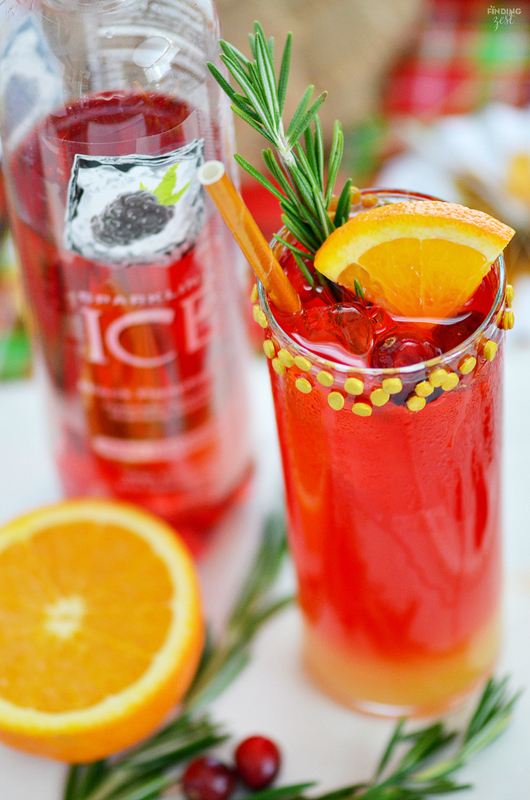 Pour pineapple juice then sparkling ice then vodka into glass. 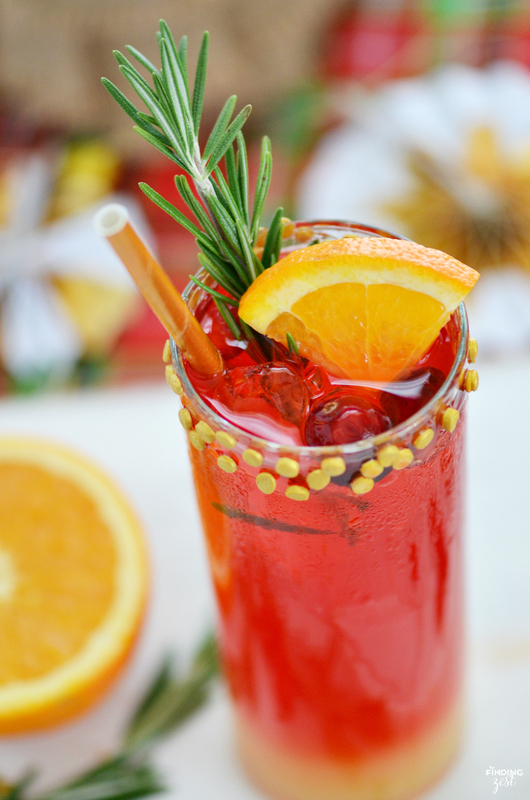 Garnish with fresh rosemary, cranberries and orange slices if desired. 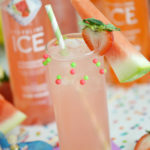 Why be bland when you can be not bland with Sparkling Ice? 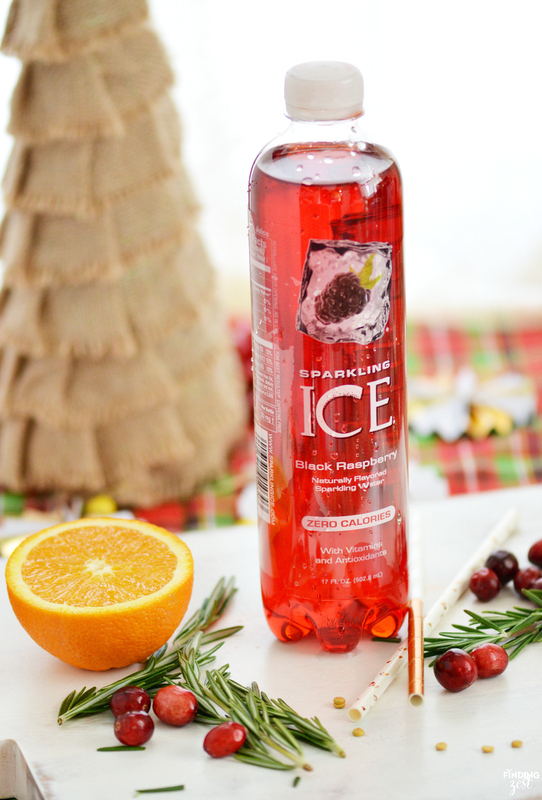 Do yourself a favor and pick up a variety pack of Sparkling Ice from Amazon to have on hand this busy holiday season!